Had a quick stop in Cincinnati last week and I was starving. 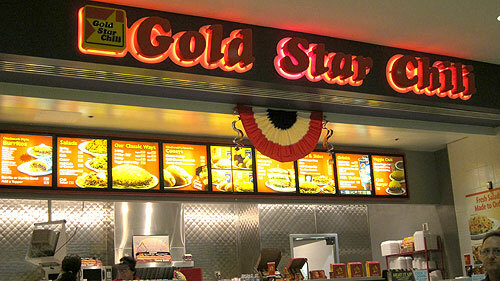 I took a chance with Gold Star Chli instead of the regular fast food options. Boy was I happy with that choice. Now I can’t wait to get back there. 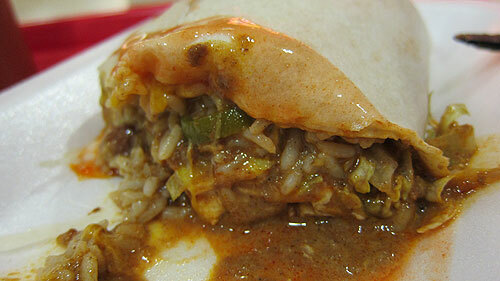 I had a Cincinnati style chili burrito, whatever that means. It had rice, beef chili, lettuce and jalapeno peppers inside. Man it was good. I chomped it down in no time. I’ll be back to Cincy as soon as possible!